The Nordstrom Anniversary Sale Public Access is finally here! 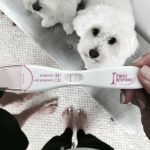 Anyone and everyone can now shop the sale, woohoo! Since I’ve received all my orders, I did some research and I’m sharing my top 19 neutral basics worth investing in. I ordered quite a bit, so I was able to sort through the good, the bad, and the amazing. 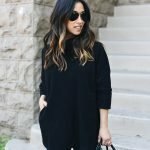 This is a great post if you’re on a budget or just looking for good basics that will take you through the fall and winter. I’ve factored in versatility, quality, and necessity. Some items are so good it’s worth doubling up on or getting different colors. And the best part, everything is very budget-friendly. I think the most expensive thing is the leather tote that goes for $250, which is actually a steal! As mentioned before, Nordstrom tends to restock items during Public Access and even launches a few new pieces. If you’ve already done your shopping, I would suggest doing a quick browse to see if there’s anything new or your favorite item got restocked. 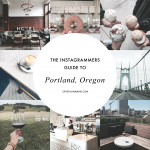 I’m going to post to Instagram Stories if I see anything worth sharing (that you haven’t seen from me yet). Also, if you have any questions about the items you see in this post, comment below and I will do my best to get back to you asap. Happy shopping! 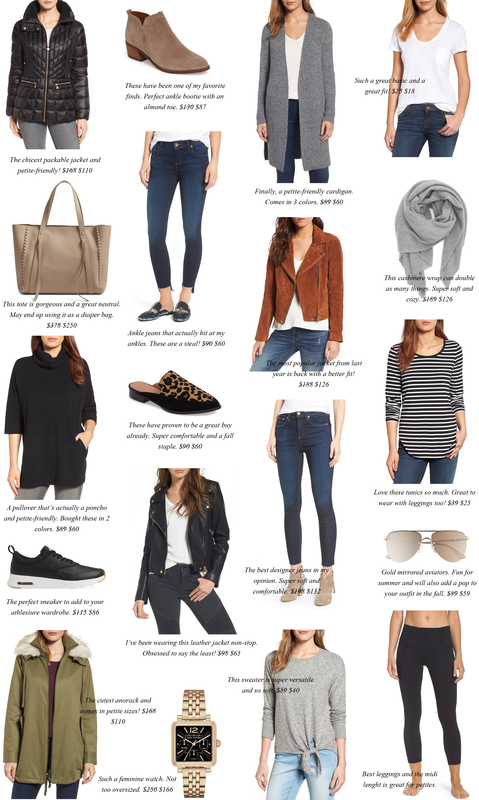 Be sure to check out all my Nordstrom Anniversary Sale posts here. 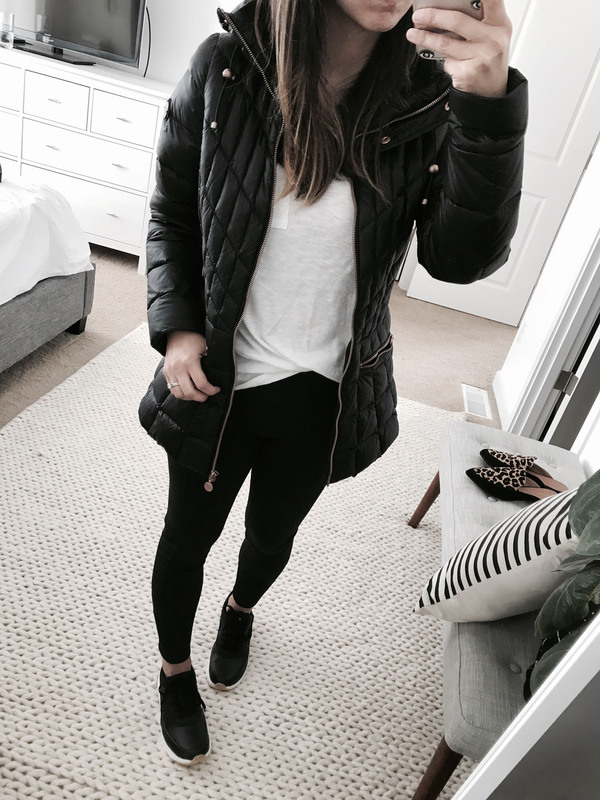 Bernardo Packable jacket (pxs) – This was part of Nordstrom’s Anniversary Sale last year and I’m so glad I snagged it. It was one of my most-used items in my closet from fall to winter and even in spring (we had a pretty bad spring). The fit is very petite-friendly and I love the way the waist cinches in, making it super flattering. The rose gold hardware is really pretty and makes this coat pop. There’s a stowaway hood in the collar as well. If you’ve been thinking about this jacket or needing a packable jacket, I couldn’t recommend this one more! 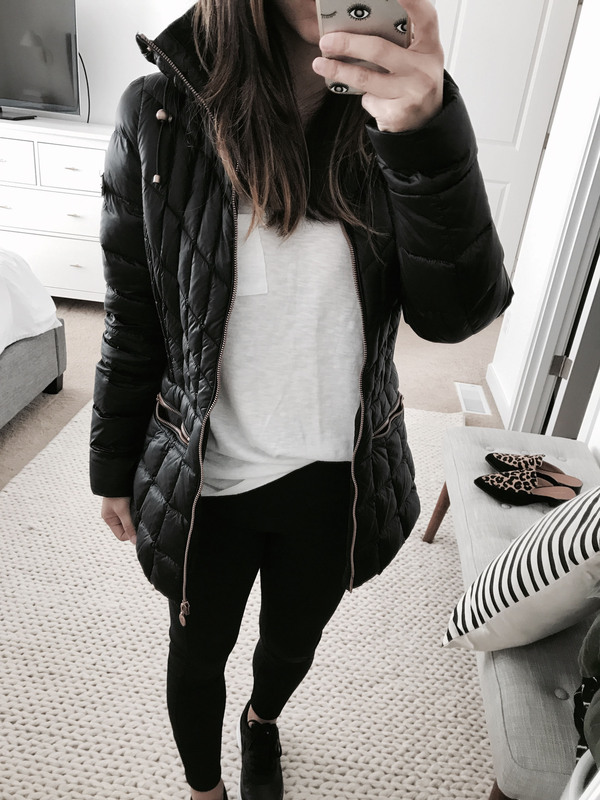 It’s a great piece to throw on to run errands, head to the gym, or stay warm during walks. I also got this jacket as part of the sale and I’m in love. 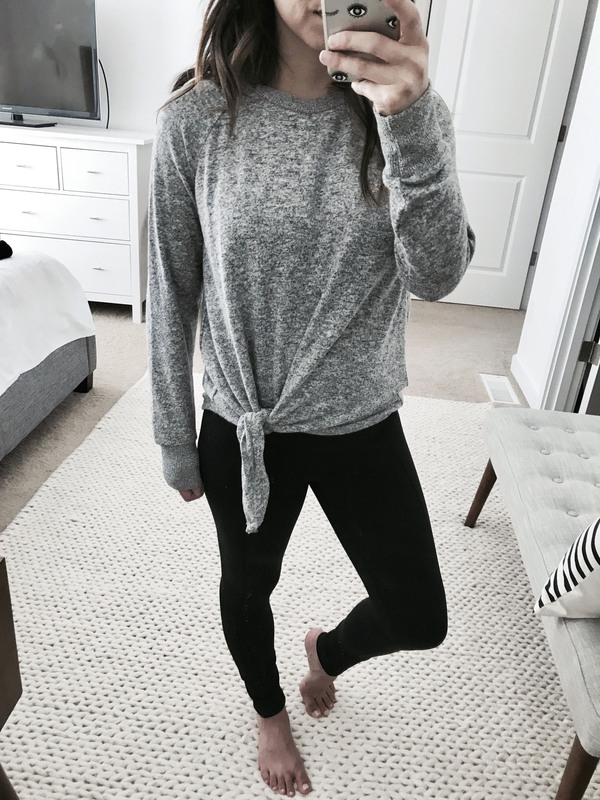 The gray color is super sleek and chic and the fit is perfect. Also comes in cherry, portwine, olive. 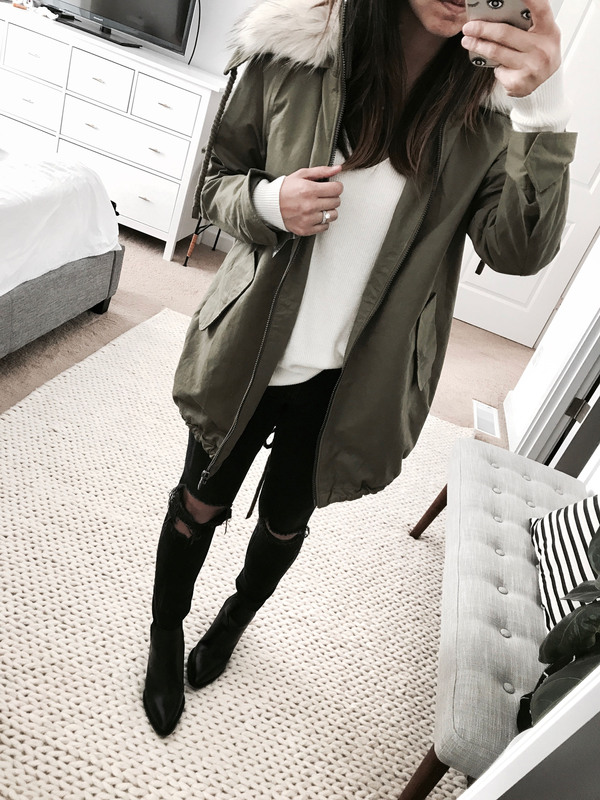 Sam Edelman anorak (pxs) – This coat was such a steal and I couldn’t be more obsessed once it saw it in-person. I just love the style and I know I’ll get a ton of wear out it once fall and winter hit. The petite xs still fits oversized, but I think with heavy sweaters under, it will be perfect. The faux fur hood is removable and the split-back drawstring hem allows you to cinch the coat to make it more snug. While it’s not the heaviest anorak out there, it’s fully lined and does the job while looking super cute. The coat does look semi-plain online, but it’s really chic in-person (the power of trying -on, right?). Can’t wait to style this with heeled booties! 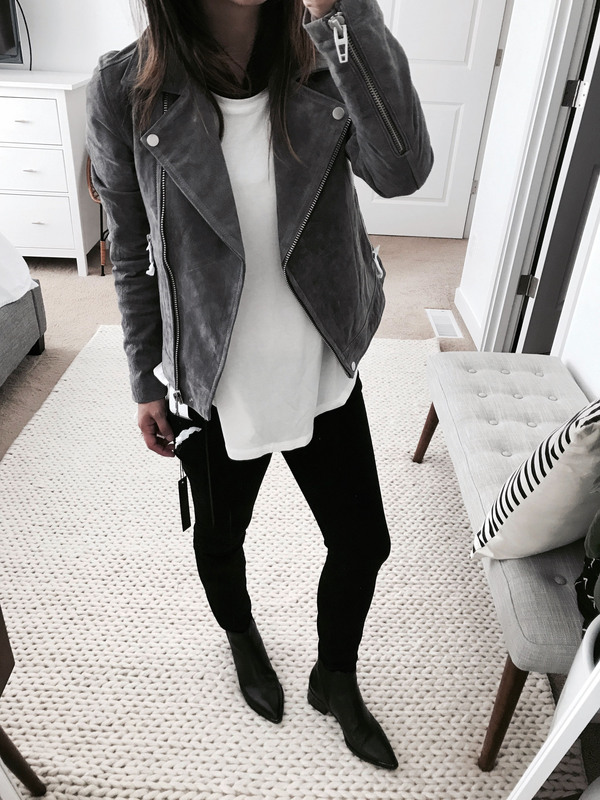 Blank NYC suede moto jacket (xs) – I bought last year’s version of the jacket and wore it non-stop (seen in this post). I got so many compliments on it and so many readers asking about the color. I was so excited when I saw they brought an updated version back this year. The fit is a little smaller (and more petite-friendly), they removed the heavy belt, and they thinned out the suede (in a good way). I bought it in both the Spice (camel color) and Silver Screen (gray) and both are super chic. The Spice is a very rich camel color and the Silver Screen is the perfect shade of gray. I’m obsessed with both. I would highly suggest you snag either before they sell out because they will. 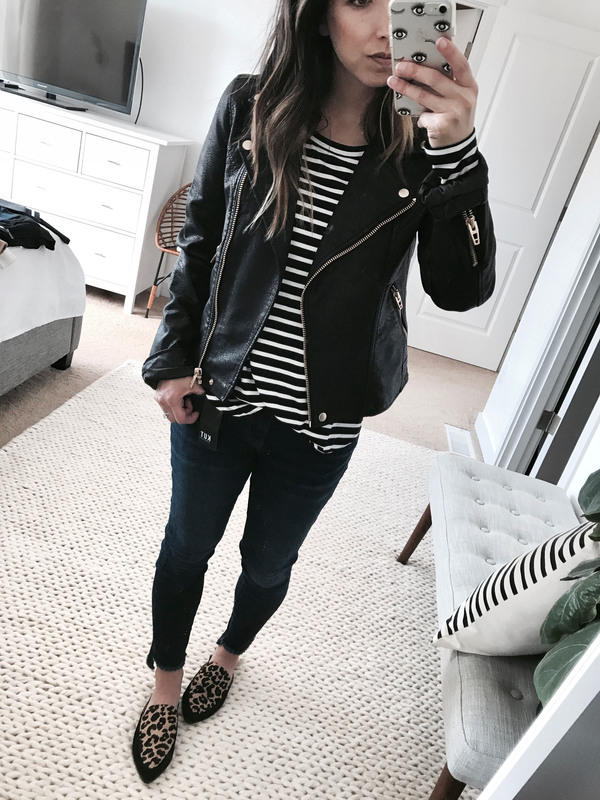 Blank NYC faux leather jacket (xs) – Since I’ve had great experiences in the past with Blank NYC moto jackets, I had high hopes for this jacket. 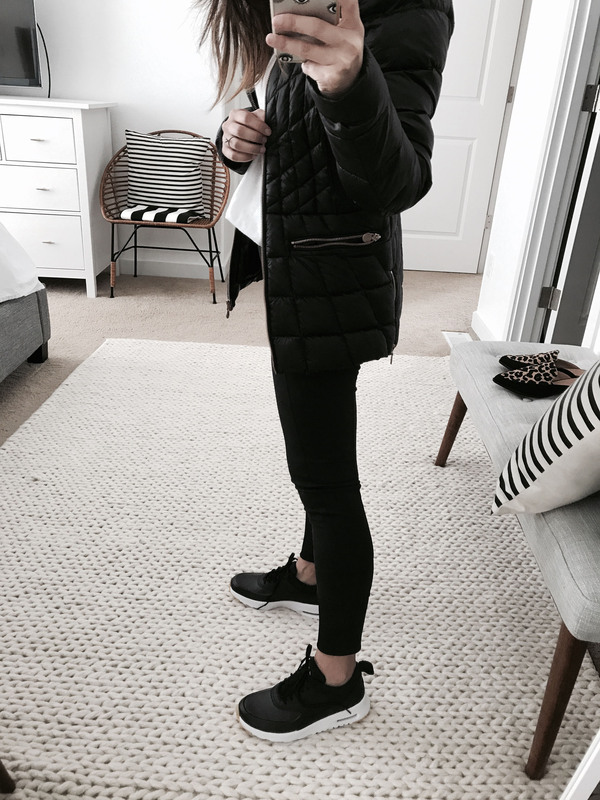 I’ve noticed, the brand tends to run large in all their pieces, except their jackets – no complaints over here. While the faux leather material is not the greatest, I love the style and fit. Honestly, for less than $65, this jacket is a steal. Everything fits perfectly, except the sleeves run slightly long. I will either roll them under or get them hemmed. I also really love the gold hardware. BTW, I didn’t notice any odors. Also comes in a dark olive color. Rag & Bone high-waisted ankle jeans (25, run big) – I wasn’t really sure what to expect with these because of the high waist (this bump doesn’t like high-waisted anything), but I’m happy to report these are amazing. And I mean AMAZING. Rag & Bone is my favorite brand of jeans and these do not disappoint. They’re extremely soft and comfortable not to mention light and breathable. The dark wash is perfect for fall and winter and super flattering. I ordered a 25 thinking I would need to size up, but I actually reordered a 24. I do think they run large. Without a doubt one of my top picks from the sale! KUT from Kloth step hem ankle jeans (petite 2, run big) – These were such a surprise, in the best possible way. While they’re not the best quality denim, the price on these babies can’t be beat. The length runs true to petite sizing. They hit right at the ankle and it’s hard for me to find jeans that do that. No rolling under and no DIY hems, woohoo! The wash is nice and dark and super flattering. I also really love that they’re super tapered at the ankle. They have a lot of stretch, so while tight, they’re still incredibly comfortable. The 2 ran big, so I actually reordered the 0 petite. One of my favorite buys from the sale for sure! 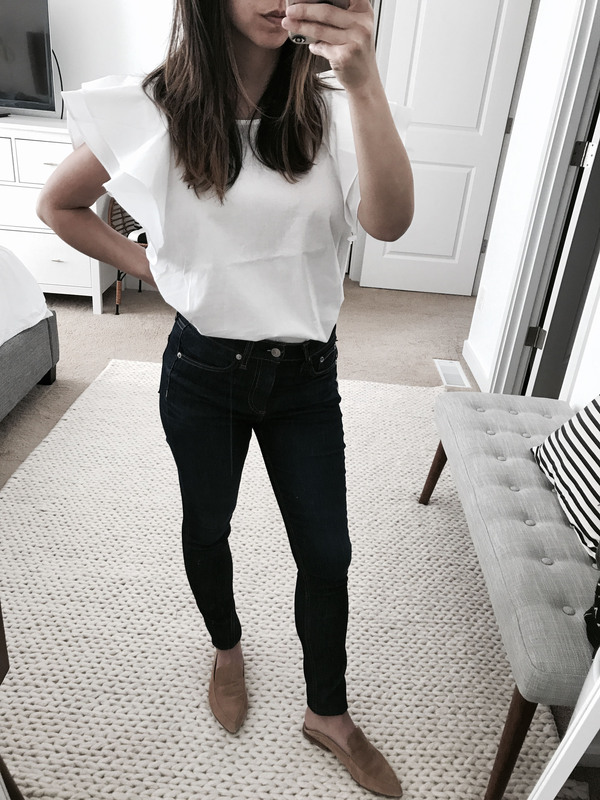 I loved the fit of the jeans so much, I ordered them in black and tried the boyfriend jeans (which fit amazing!!!). 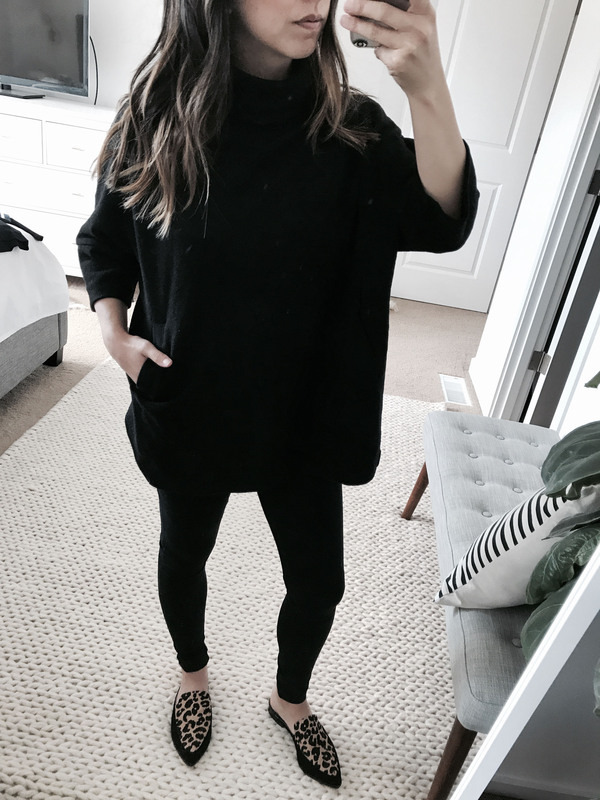 Gibson tie front fleece pullover (xs, comes in petites as well) – I found this sweater in-store and I can’t even describe to you how soft it is. So cozy and comfortable, the fleece material makes it feel more like loungewear. I love the heathered gray color. While the top comes in petite sizes, this was the smallest I could find in-store and it actually works. The nice thing about the tie-front, you can pull it as tight as you want to make it fit. I like the oversized fit, so I didn’t think I needed to reorder a petite size. I will be wearing this with jeans, but also with athleisure wear, loungewear, and pj’s. Talk about versatility! This is not something you necessarily need in your closet, but I promise you will love it! Also comes in black, blush, burgundy, olive, and purple. Caslon zip back pullover (pxs/s) – Okay, I have so much to say about these pullovers. First of all, they’re more like ponchos, which makes me so excited. 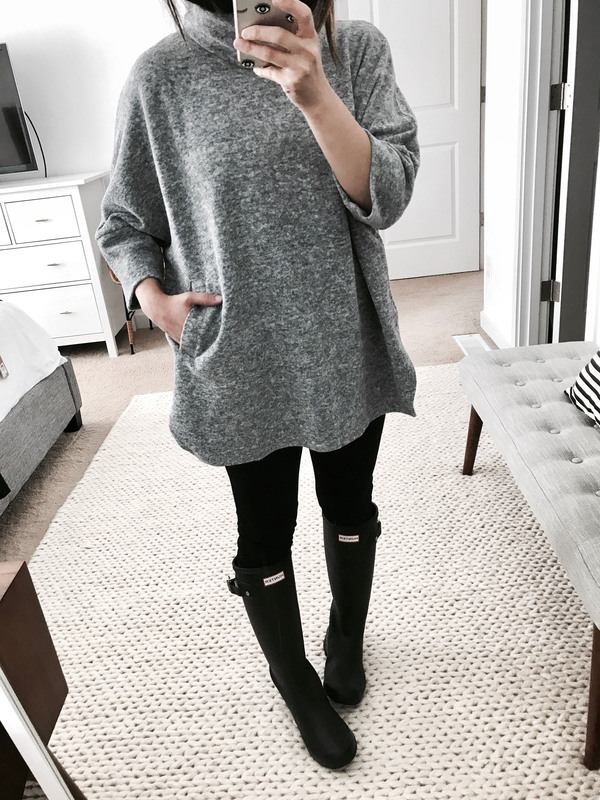 I have been searching for the perfect petite poncho for several years now. They literally don’t exist. Who knew they came in the form of a ‘pullover’. While the outside of the sweater is a weird material (fleece -like), I’m totally willing to overlook this because I’m obsessed with the look and fit. This fits so well and looks adorable with leggings. I will be living in this all fall and winter, especially with a growing bump. So, so comfortable and so chic! This probably isn’t something you’d see on the site and think, ‘oh yes’, let me order it. But, I’m here to tell you, you will love it once the season changes. 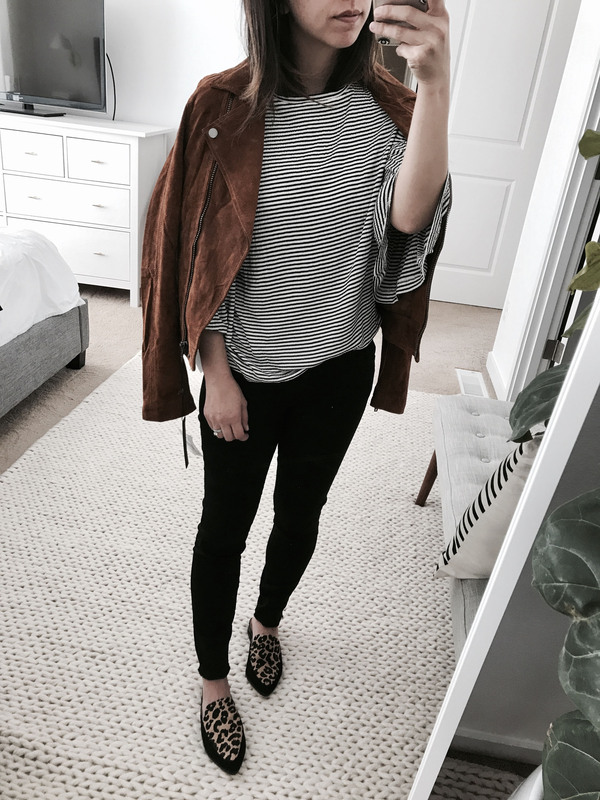 Petites rejoice, I have found us the perfect poncho! Bought in gray and black. Also comes in blue and burgundy. Halogen long ribbed cardigan (pxxs) – Saw this cardigan in the Nordstrom catalog and had to give it shot. I’m so glad I did because petite sizes are selling out quickly and I’m obsessed. I have it in all 3 colors (cream, gray, and black). 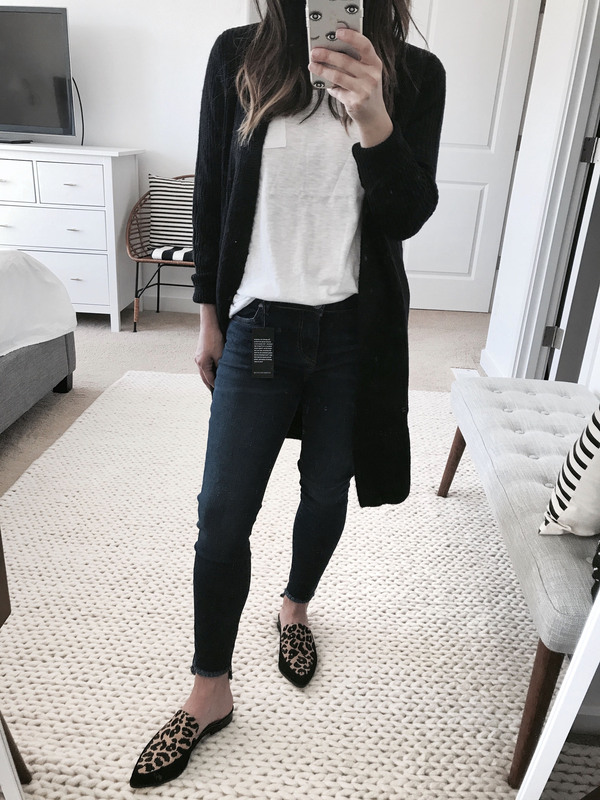 I’ve had the hardest time finding cardigans that work on my petite frame and while these are still quite long for me, the shoulders, arms and torso fit really well, so it’s a win in my book. I will be wearing these non-stop, even now for those cooler mornings. I think these will also be great as we head into fall and my belly starts to grow. If your size is in-stock, snag one of these asap. Bought in gray, black, and cloud. 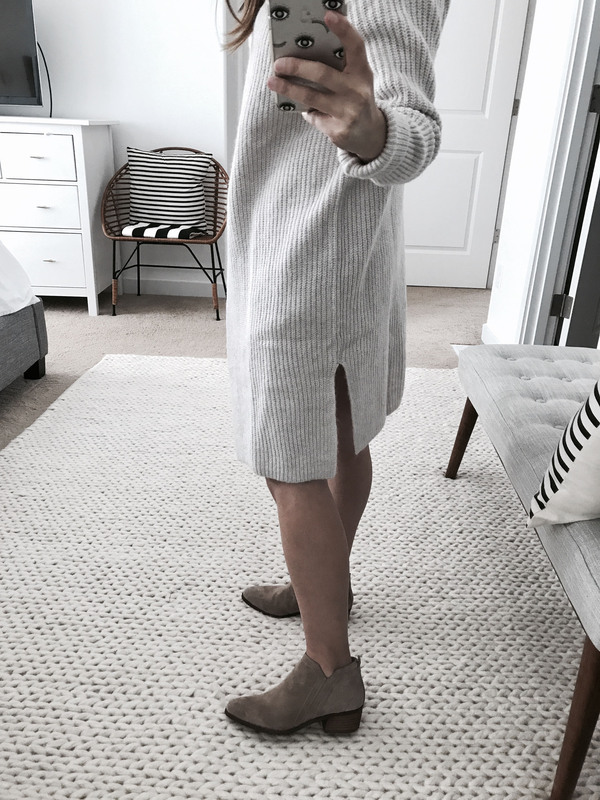 Halogen long sleeve tunic (pxs) – Another awesome find that’s going fast. Luckily, I snagged it early in stripe, gray, and cream. The petite xs fits extremely well – fitted in the right areas, but drapes really nicely. The stretchy material makes it incredibly comfortable. The tunic style (longer length) will be great for my growing belly. The stretch modal knit is nice and versatile – dressy enough to wear to the office, but with the right pieces can be dressed down as well. This is a great basic to help you transition from summer to fall. Honestly, this is the best top to wear with leggings. Easily covers everything. It happens to be longer in the black as well. Bought in stripe, ivory, and gray. Also comes in blue, burgundy, and green. Caslon v-neck tee (pxs) – As simple as it is, this is one of my favorite purchases from the Nordstrom sale so far. I’ve been wearing the white one with everything. I did also snag it in black. From experience, you can never have too many black and white tees and this one fits amazing. It’s soft and drapes really nicely. I love that the rounded v-neck hits at the perfect spot (not too revealing). Definitely a basic to stock up on! Bought in white and black. Also comes in black stripe, blue, teal, gray, heather gray, navy, dark olive, blush, purple, red, yellow, and white stripe. Zella Moonlight high-waisted midi leggings (xs) – Zella leggings are my absolute favorite leggings of all time. The quality is so nice and at such a good price point. Their midi style leggings hit right at the ankle and this pair is perfection. The ribbed trim at the ankle is super flattering and the fit is on point. 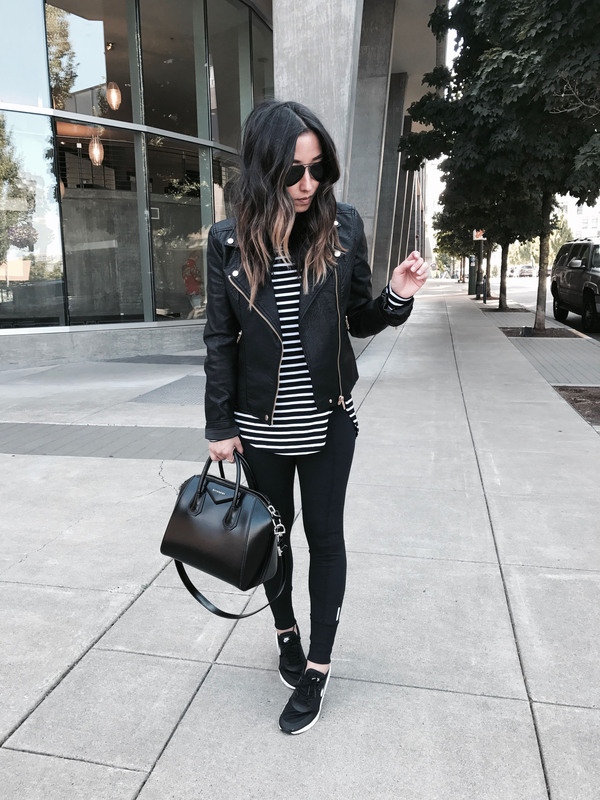 I have a handful of Zella leggings and these are my new favorites. An absolute must-have from this sale. *For those of you who are not petite, I would highly recommend Zella’s Live In High Waist Leggings. I have these as well and they’re amazing. Thick and soft and great for working out or to wear in the fall/winter. I wear these in xxs. Nike Air Max Thea sneakers (5) – I’m such a sucker for Nike sneakers, especially in black. 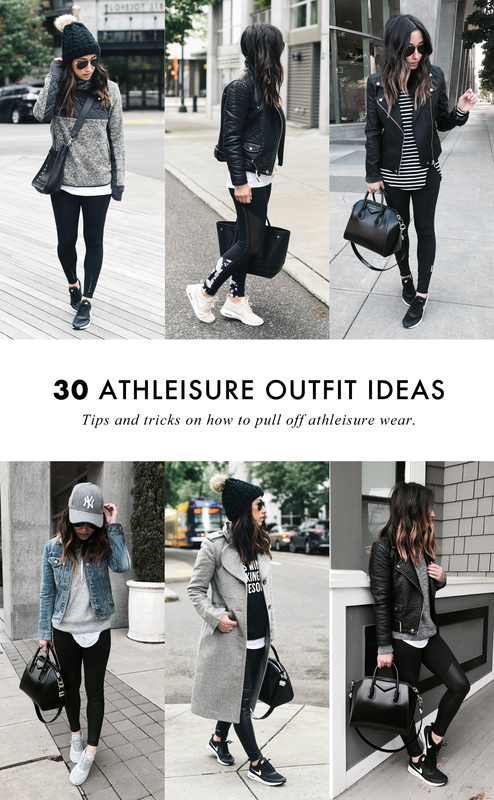 I wear athleisure a lot in the fall and winter, so I know I’ll get a ton of wear out of these. I love that they’re very simple with the all black, but the texture keeps them interesting. They run TTS and look great with black leggings. They do give me a little height, which I’m all for. These are one of Mike’s favorite purchases of mine, lol . Halogen Corbin slide loafers (5) – The second I saw these in the catalog I knew I had to have them. And the best part, they’re even better in-person. The leopard print is done really well (not cheesy at all) and they’re really comfortable. Flats at this price point can be hit or miss when it comes to comfort, but these are awesome! I didn’t even need to break them in. The website says they run small and to size up, but I took my normal size and they fit really well (I’m a small size 5, so you may want to size up). I’ve already worn these so many ways… makes me excited for fall! Also come in black, tan, and silver. Sarto by Franco Sarto Paivley bootie (4.5, sized down) – These are hands down one of my favorite purchases from the sale. The color is a great neutral and they’re super flattering. Ankle booties like this that don’t look terrible on my short legs is hard to find. These sit just below my ankles, so they show off as much leg as possible. I also really love the almond shaped toe. They’re very similar to Sam Edelman’s Petty bootie, but they have a better toe, in my opinion. I’m not huge on rounded toes, they always seem super dated. A good stacked heel, comfortable so far (haven’t walked around in them outside of the house yet), and easy to get on a off with the zipper on the inside of the bootie. 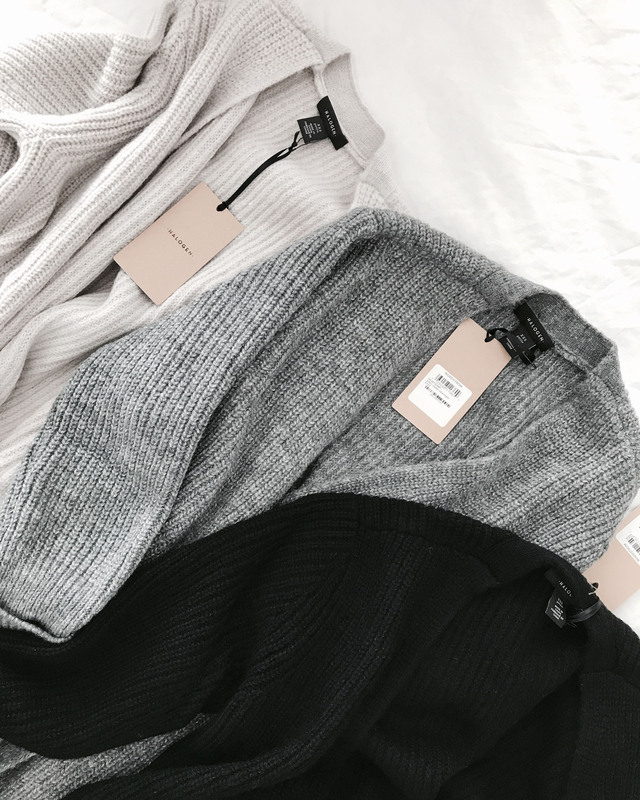 I can’t wait to start wearing these with shorts and cardigans and then transition them into fall. Couldn’t recommend these more! Also come in dark burgundy and black. Le Specs “The Prince” sunglasses – Le Specs always makes great sunglasses at a great prices. These are super fun with the rimless gold mirrored detail. They’re matte, so they’re very mirrored, if that makes sense. 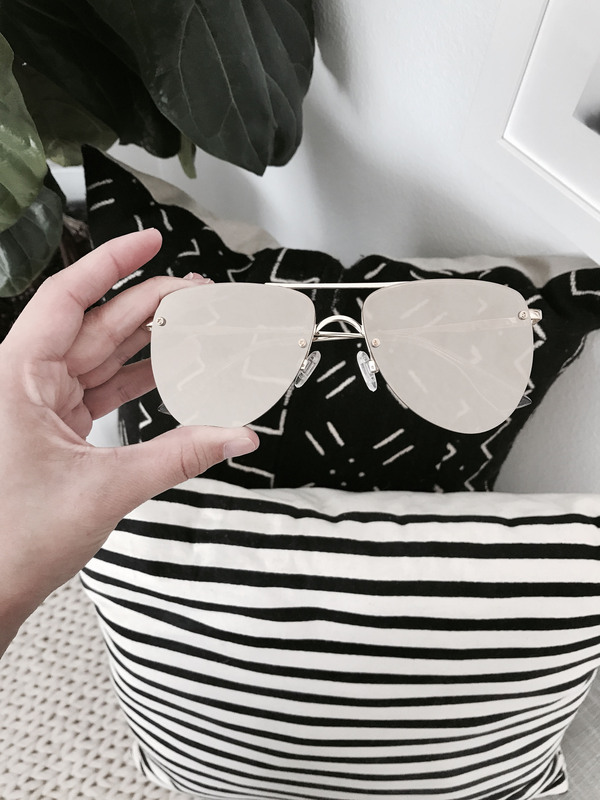 They have a classic aviator shape and run slightly larger than my original ray-bans at 59mm. 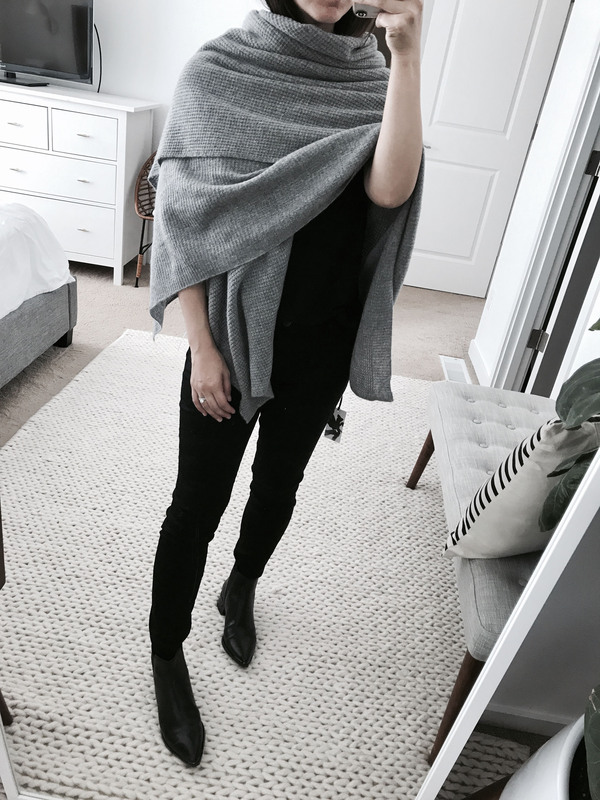 Halogen cashmere waffle wrap – This is such a soft and cozy wrap. It’s on the large side, so I wouldn’t necessarily consider it a scarf. With it’s size, you can wear/use it many different ways. Poncho style, a full on wrap, scarf, and blanket. The waffle knit texture keeps it from looking too plain and I love the medium gray color. We all need a few wraps in our closet come fall and winter and this one is amazing. Can’t beat cashmere! Also comes in black, blue, and beige. 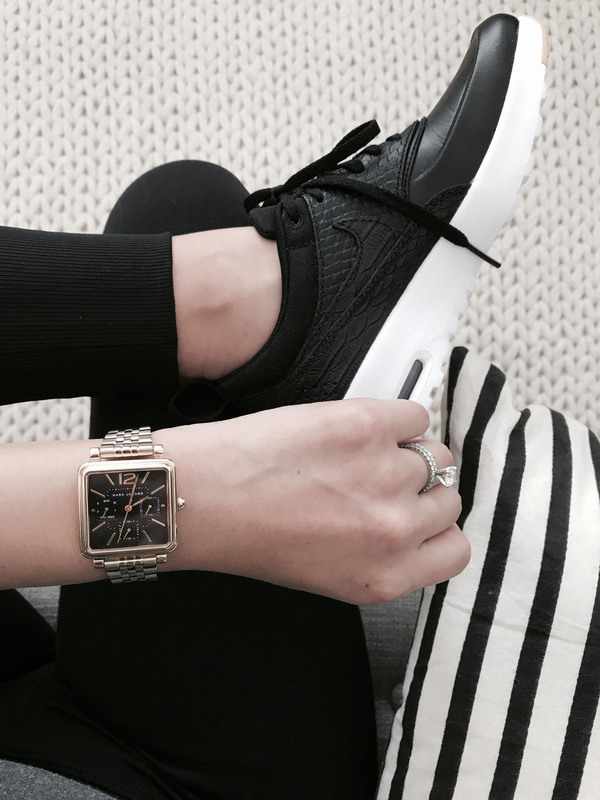 Marc Jacobs square vic watch – With oversized watches all over the place, this one is super refreshing. The square shape is chic and I love the feminine size. It’s not overwhelming at all. In fact, it’s the perfect size for petites. I also love the gold and black color combo. If you’ve been searching for a classic, everyday watch, this is great for fall and winter. 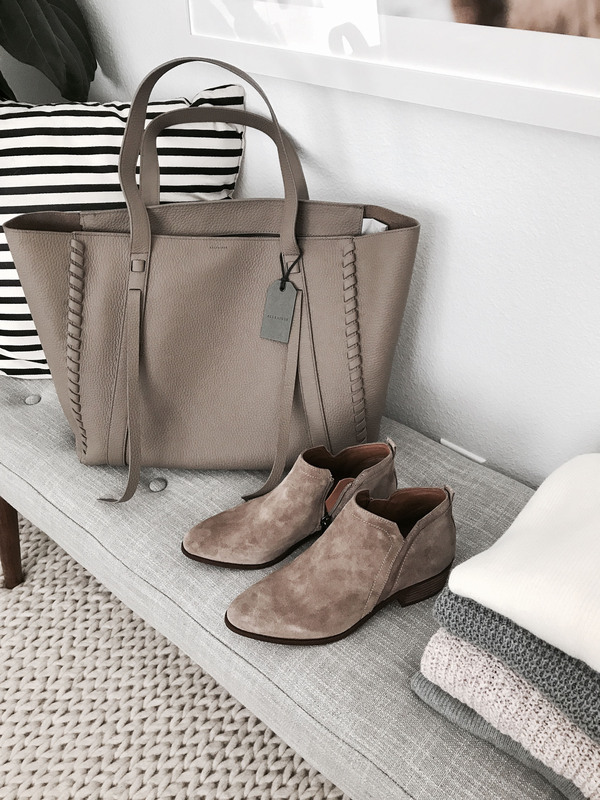 All Saint Raye leather tote – I couldn’t help but fall in love with this tote. The shape and color are so classic and timeless. I don’t have a taupe-y color handbag in my closet, so I thought this one was a great addition. It’s on the larger side in terms of size, but I actually think it will be a great diaper bag. I’m planning on using an insert in all my bags and not necessarily buying a diaper bag, so this could be a good option. The leather is supple and the inside is super roomy. Also comes in musk brown. I have got to say I love your style but I have my eye on that rug of yours!! Where did you purchase?? ?